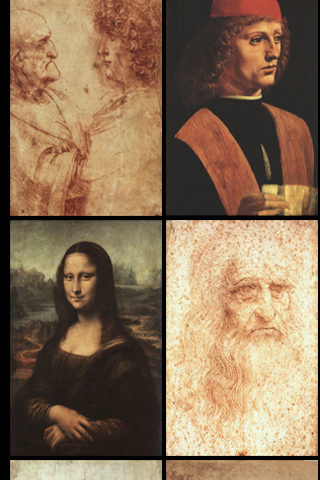 The Leonardo da Vinci Virtual Art Gallery brings the artworks of one of the greatest artists in history to your mobile device. 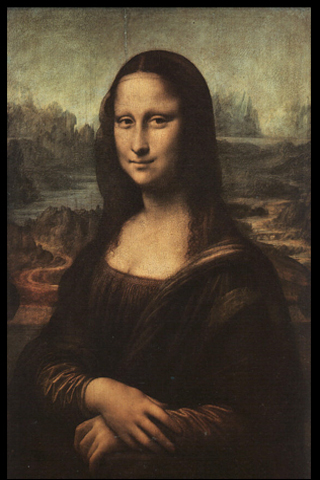 Leonardo di ser Piero da Vinci (April 15, 1452 to May 2, 1519) was an Italian artist, scientist, inventor, engineer and writer among other things. Often described as the archetype of the Renaissance man, he is widely considered to be one of the greatest painters of all time and his works hold up the test time of time as millions of people each year flock to see his works of art in person. The Leonardo da Vinci Virtual Art Gallery features twenty-five high quality renderings of his works with two different modes. The Virtual Gallery mode allows you to quickly click your way through his extensive body of artwork. And the Thumbnail Gallery mode allows you to easily pick and choose which works of art you would like to select for viewing. 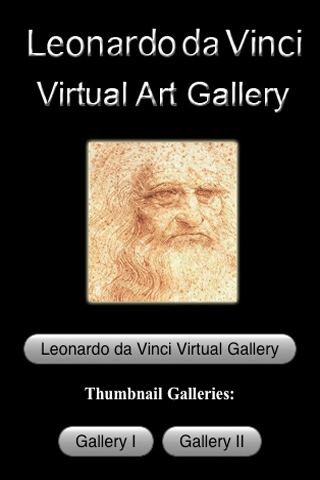 This virtual art gallery is highly recommended for those who are fans of Leonardo da Vinci, and also for all art lovers in general.